Generating links to your website is an effective way of improving both your site credibility and search page rankings. Think of each link back to your site as an upvote towards your web page’s rankings; the quality of that vote then determines how much authority is given to your site. Many companies tend to use quick-fix link building strategies in order to increase their page rankings. This would be done by generating unauthorised, or non-natural links. Marie Haynes offers a valid definition of a non-natural link as “links that weren’t editorially placed or vouched for by the owner of that site, and are intended to manipulate PageRank”. Marie also offers a valuable article on measuring the quality of links. 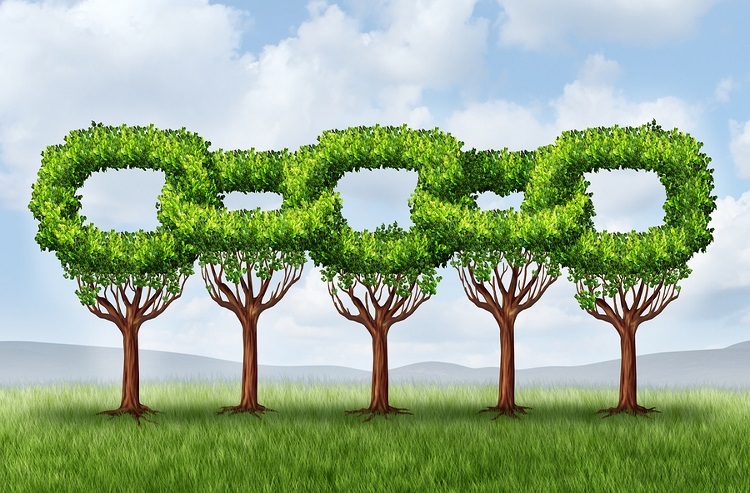 Non-natural links may well provide a surge in rankings, but this won’t last long. Google’s current algorithm will recognise when a site is trying to spam its way to the top, resulting in a hefty penalty and a huge drop in your rankings. An organic or natural link in simple terms is a link endorsed offsite, this can be through other blogs, websites or social platforms, and without having asked for the link. These links are highly respected and seen as authoritative in Google’s eyes. For example, a site could have 2000 non-natural or spam links and have a low page ranking, yet a site with 200 organic links (best from .edu or .gov sites, however valuable .com sites are also credible) could be given more authority, as Google will recognise the validity and helpfulness of your site, meaning others will find your site useful too, increasing Google’s user experience. The more organic links from trusted sites you have, the more people in your specific niche industry will recognise you. Your reputation becomes more trusted and valid to people in your niche. Sites will actively seek to link to you. The more organic links you receive, the higher Google will place you in its rankings, meaning higher visibility and exposure. Generating strong, useful content is one of the best ways to generate natural inbound links to your site. This could be in the form of blogs, site content, videos, infographics or digital apps, to name a few. When you can produce content that provides other industry experts, or influencers with a great read, they are more likely to want to link to your site, further increasing your credibility and visibility. For example, if you are trying to generate interest from influencers, it is well worth reading into current trends or valuable data to enable your site to offer a unique experience that others maybe won’t. James Agate provides a useful article regarding how to generate good content ideas. If you are ever thinking about purchasing links to build your visibility, don’t! The vast majority of paid links are spammers. Google does not like to see paid for links, and will generally give out penalties for any site trying to buy their way to the top. There are much more credible ways of building links, so avoid paying for them wherever possible, even if you think search engines won’t notice. When choosing your anchor text, for SEO purposes, try not to write the exact same thing for each piece of content you have. Search engines see identical anchor texts as a way of mechanical link building, so try avoid it. If you have a number of pages with interesting content, keep in mind how you would like to appear in search engines. To find out more about how anchor text can improve your link building, take a look at moz.com. Becoming a key member of online communities is a valid way of generating valuable links. This doesn’t mean posting your link on blogs or article comments! Instead, gradually become part of the conversation, become recognised by industry specialists by offering your expert opinion or solution on their posts or articles. Generate effective industry relationships by sparking interesting topics of conversation, and by sharing their posts. Don’t get in the habit of posting generic information that people will most likely discard. Make sure your posts are newsworthy and of use. For example, keep the reader asking questions, tell them ways to implement what you are writing about and make them want to read more into it. Providing valuable citations in your work can also aid in building relationships with other bloggers or sites. You will be surprised at the amount of people that don’t offer an easy method of linking to their site, or linking to other resources. If you have grabbed the attention and interest of a reader or industry professional, you don’t want to give them a huge task of finding how to link to you, or access your other sources. Make sure you are providing relevant “link to me” content, and make your social networks easily visible on your posts, for those who want to tweet or share your content. Remember, it is well worth taking the time to try and generate organic links rather than using quick fix methods that could potentially wreck your brands search engine visibility for good, so start organic link building and see where it could take you.